It might seem insane. Or, at the very least outrageous. You were the one hurt in the car accident. You are confident it was not your fault. So, why exactly are you being sued? How is that even legal? It’s painful enough to be injured in any type of accident. Frustrating even. You only considered filing a lawsuit yourself because of the extensive damages you suffered. It’s not just that your car is a total loss. Your medical bills are covered. But, the doctor has told you that you have permanent injuries. Not only are you losing time from work, but there’s also the possibility that you will never return to gainful employment. Of course, consulting an experienced personal injury attorney is a wise move. He or she will review your case from both a damages and negligence vantage point. And, also explain to you what to do if someone else sues you for the same accident. We’ve already provided you some insight concerning chain reaction crashes. 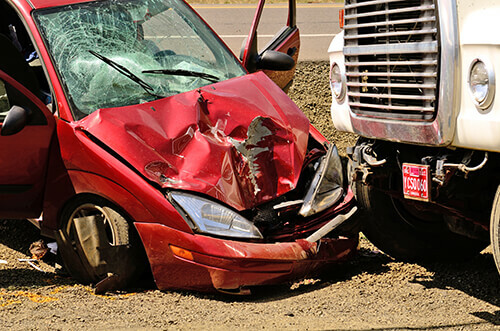 There is often a question of liability when it comes to multi-vehicle accidents. Even if you were in the first car, someone else might fault you with the crash. There could be allegations that you stopped short at a yellow light and caused a ten car pile-up. Of course, you might dispute the issue and have witnesses that support your contentions. That might not matter to the vehicle occupants in the third car in the line. Their injuries may be severe. Consequently, they might blame you for the entire crash. At the very least, they may suggest that your negligence contributed to the accident. Therefore, a claim will be asserted against you, and your insurance company. Here’s another scenario. You were abiding the speed limit and passed through an intersection. There must have been something wrong with the other driver. She made a left turn right in front of you. Of course, you couldn’t stop your van. You tried. The occupants of both vehicles were severely injured. In fact, it’s a miracle that no one was killed. More often than not, the driver making a left turn will be held responsible for the accident. That’s not to say there aren’t exceptions. What if the van you were driving was equipped with a telematics system that recorded your speed? Could you be found at least partially negligent if there was evidence that you were flying through the intersection with no regard for speed? We just gave you two examples of lawsuits where you could be charged with a negligence claim and disagree. In the end, it will be up to the insurance companies, your attorneys, and the courts to work out a resolution. You should know that you could receive notification of a lawsuit you in different ways. For one, the parties could sue you directly. Their lawyers may not even realize you have an existing claim or that you have filed suit. This is especially common when more than two vehicles are involved in a crash. Most personal injury attorneys are concerned about the prospect of legal malpractice claims if they fail to name the right defendants. Better to bring everyone into the lawsuit and let those without fault out on summary judgment. In cases where multiple lawsuits are filed for the same accident, the courts may consolidate the actions. This is both cost-efficient and saves time. Let’s go back to that left turn accident. The lawyers representing the driver who made the left turn answer the allegations against their client. Notwithstanding, they may respond with a counterclaim, charging you with the accident. The attorney you retained to represent you for your injury claim is not the same lawyer who will handle the lawsuit brought against you. Any lawsuits brought against you to should be turned over to your automobile insurance carrier. You can ask your personal attorney for help if you need it. Your insurance company will assign a law firm to defend the lawsuits made against you. Essentially, you could find two different attorneys representing you for the same accident. At de Lachica Law, we have experience handling personal injury cases. Have questions about the process? Contact us to get a better understanding of how the process works.